Our daughter is growing faster than I can comprehend inside me, and at 5 months pregnant, each day brings new challenges and a new, foreign body that seems to morph constantly though I still just look like I ate a big sandwich! As my husband knows well, my pregnancy diet has veered far off course from my initial aspirations. I’ve under estimated this physical process in so many ways—how rigorous it would be for my body (more on that one in my upcoming post on traveling pregnant), how insistent the cravings & aversions would be, how exhausted & relatively fragile it would render me. That said, I put my cravings on the shelf for at least one meal a day and make sure to take in something nutritionally rich whether it’s this pasta or plenty of green juice and oatmeal. So, as promised, here’s the recipe for one such go-to healthy dish that I made as my lightening fast main for the dinner party I threw together in an hour in the previous post. 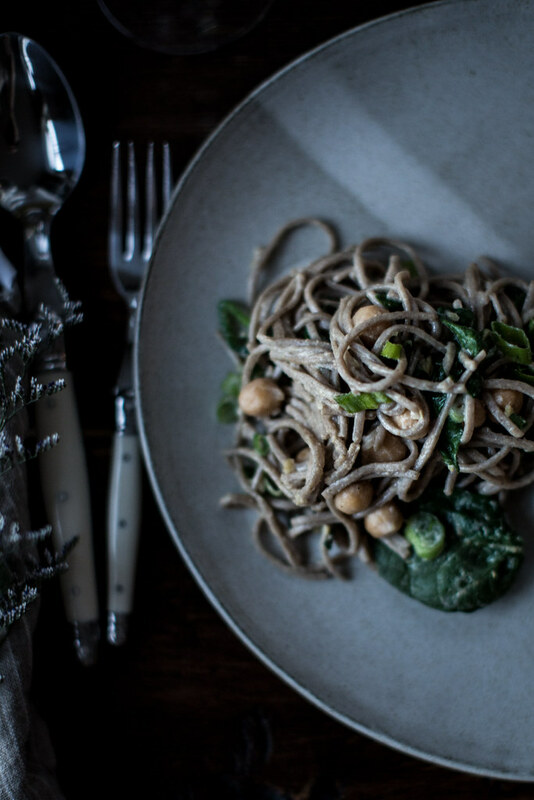 I particularly like this pasta because not only is it a one bowl meal, it happens to be vegan & gluten free which means it’s safe for virtually any dietary restriction that might walk through your door, yet my father, a southern man with a strong aversion to the mere idea of vegan food, loved it. So everyone wins. On top of that, it’s a go-to recipe for me during pregnancy due to the high nutritional content of buckwheat, chickpeas, and spinach. It has loads of the ever essential folate, dietary fiber, protein + essential amino acids, iron, and myriad other vitamins and minerals. Whole grains, leafy greens, pulses (chickpeas, dried beans & peas, lentils), and tons of flavor. A win. Also, we have a spare bed open for our very last available retreat of the year on the island of Formentera, Spain. Clear blue sea, white sand beaches, yoga, photography, and tapas & wine. You can reserve the spot here. Boil the noodles according to the instruction on the packet. Drain and set aside when done. Meanwhile, make your dressing. Combine the tahini, sesame oil, miso paste, mustard and cayenne in a bowl. Whisk in the lemon juice, mirin, ponzu, tamari, and water until smooth. Set aside. In a large sklllet heat a splash of sesame oil until shimmering. Add garlic and ginger and sautee just until fragrant and softened, 5 minutes. Reduce heat to prevent browning if needed. Add the spinach and parsley to the skillet and sautee until just wilted, about one minute. 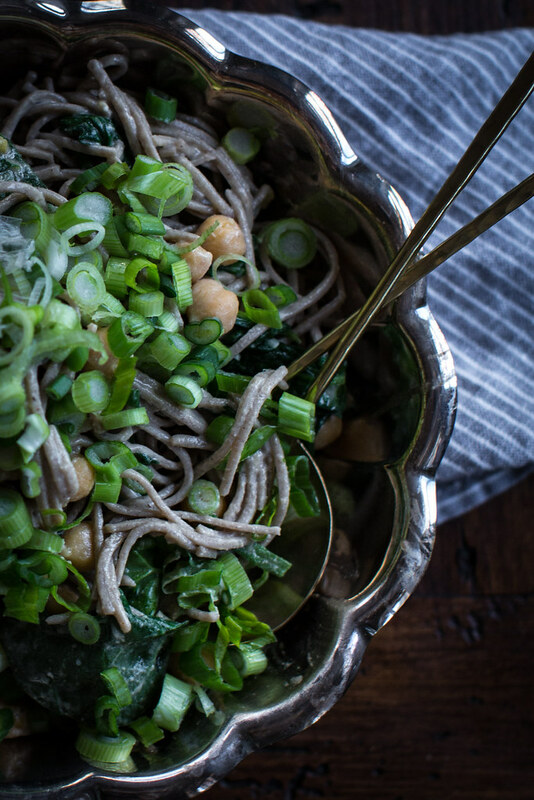 Toss in the chickpeas, soba, and sauce. Toss well to coat and warm everything through really well. Season to taste with ponzu, salt, and tamari. If reheating, bring back to life with a splash of water in the pan. Transfer to a bowl, top with scallions, and serve either warm or at room temperature. I will try that receipe; I love soba. Thank you for sharing. At a certain point, I laughed while reading your article, not because it reminded me of Japan where I lived a long time, but because it reminded me of Taiwan where I was sharing a house with different foreigners. A Chinese friend visited me one day and said: ” You are living with three Americans, there are three pots of multi-vitamins in the kitchen”. And he was right! What are “prenatal vitamins”? Why do you need that? Even if the food you take is not always “perfect” (luckily), it seems to be healthy most of the time. I precise that I have a child and never got those vitamins. ooooohhhhhh this dish has everything I like into one bowl!! I love soba noodles, I mean, I sooo love soba noodles! Then the chickpeas!!! I could live off of chickpeas – and so could my son! And spinach, I have always a pack of frozen spinach in the freezer and just toss them into everything. But the funny thing is: I cannot mix chickpeas with spinach!! My stomach just will not take it and it won’t digest, and I always end up sick… I would sub the spinach here for rabe, I think, and it would still be good, wouldn’t it?? This looks so tempting. I love chickpeas, we had a great chickpea curry last night. It was also gluten free and vegan I think, but at the time I didn’t really think about that as it’s just a really tasty dinner. Hi–recipe looks delicious. FYI the link in the post to the retreat reservations site is pointing to the squarespace login page, not your site. Not pregnant, but this sounds like a fantastic everyday busy meal. Delicious and nutrient dense and quick- what’s there not to love. Gorgeous. I’m not sure where you and readers fall on this issue, but I do not purchase anything from Eden Organics because they have sued (and now won) and exemption from the mandate to cover contraceptives for their employees under the Affordable Care Act. Bookmarked! This looks phenomenal. Thank you for sharing, and I admire you for traveling while pregnant. I barely left my bed. Soba is my favorite at all time. Your recipe sounds so yummy and nutritious. Definitely a perfect weekend breakfast! Yum! 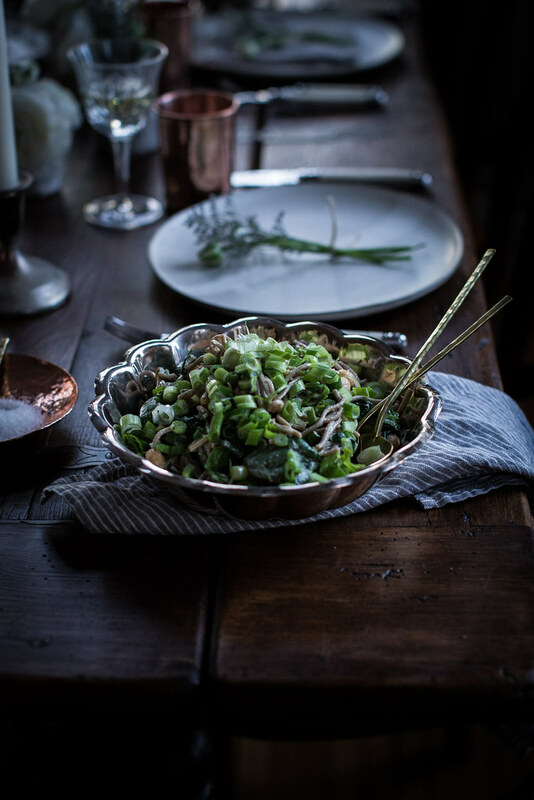 I’m going to try this tonight using some of the foraged greens I gathered this morning. And have a great time in Japan! Can’t wait to look through the pics. Such a beautiful photos! This looks simply delicious and definitely something I will have to try! Thanks for sharing! Wow sounds and looks amazing! Dear Beth, this recipe was amazing! I cooked it for a friend who just had a baby!! Thank you for sharing! This looks delicious – and I just wanted to tell you how much I love following you around Japan on Instagram. The places you visit look so serene. It even inspired my and my boyfriend to maybe go back to Japan in May (we already visited this wonderful place last year). So, this is a big thank you! 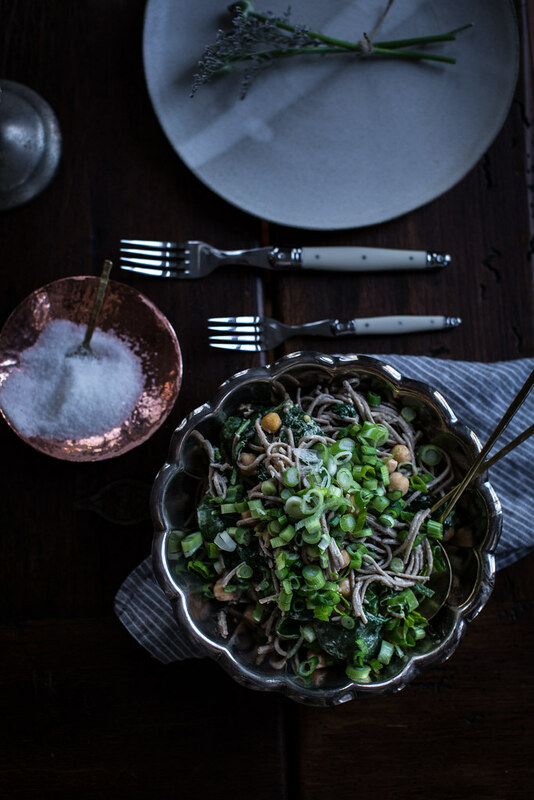 The soba looks great ; such a perfectly done healthy recipe and the photographs taken are really good! 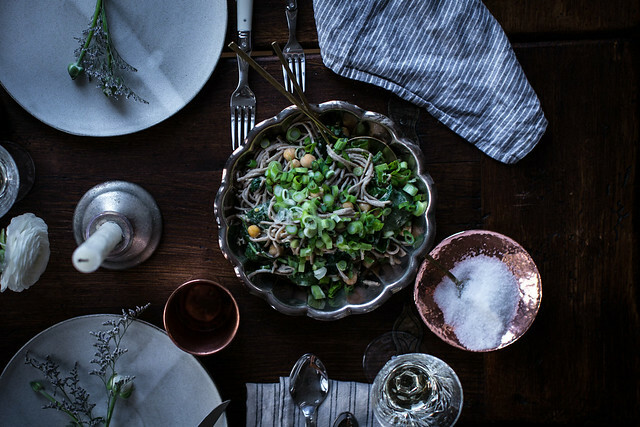 What a lovely color palette in the photos, and the food itself looks delicious. I’m not a vegan, nor do I concern myself with gluten, but I am inspired to make this dish. I’d love to add green peas and perhaps a dash of color in the way of finely diced roasted red peppers, just because I love those flavors together. A beautiful post and blog site! Thank you for the inspiration! I love your photos on Instagram and look forward to seeing photos of your child. Motherhood already becomes you well. I’ve been wanting to try this ever since you posted it. Finally got to it this evening. I love noodles and legumes (the chewy starchiness) and as usual your sense of flavor/seasoning added a lot. Yum. I forgot to get tahini, so I just whizzed up a bunch of sesame seeds in the high speed blender. They didn’t get all the way to tahini but I just added a tad more liquid to the sauce and all was good. We have early green onions in the garden now, so we used those on top. Thanks to your reader who posted a bit earlier about the issue with Eden Organics. I wasn’t aware of that and appreciate knowing. Take care Beth. I hope this lovely food is feeding you and baby well. This looks absolutely delicious! I can’t wait to try it out. Thank you also to the reader, who informed us about Eden Organics. My local co-op actually stopped carrying Eden organics due to that very reason. 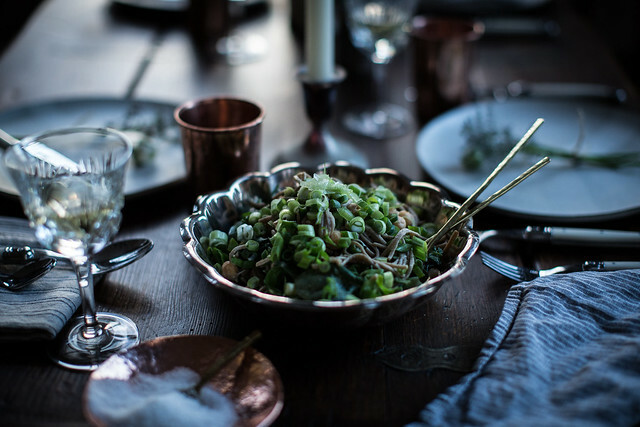 I was very sad to hear about it, because we have been looking for 100% buckwheat soba noodles that were organic, but this was too big of an issue for us to continue supporting Eden Organics. But I am very excited about trying out this recipe! Beautiful photos as well! Frankly I do not like salads with pasta and greens. But in the photo it looks very tasty. You are well done! This is the perfect meal for an expectant mother. I too am 5 months pregnant and continue to have strong aversions to preparing most meat. I just made it last night for dinner. It is both satisfying and as you note, nutritionally powerful. A wonderful recipe- thank you! LOL I never took the prenatal vitamins..my bloodworks where always eccellent, so I hope it will be fine (23 weeks here). My very healthy diet did steer towards an unusual abundance of sweet fruit and one very foreign croissant every trimester, and honey rice cakes for a while, but otherwise I was able to eat healthy following my envies. I just find the idea that my body needs some special man made food supplement to make a healthy child, very very bizarre. Aren’t we built to make them?! Isn’t that all the biological purpose of our bodies?!?! I also, so far (touch wood) never had preganacy nausea or any sickness, while everyone (non pregnant!) around me was getting the flu and stomac flu. I wish for every woman to have fisically enjoyable and happy pregnancies..filled with good food! Never ever will food taste so good, it was just the best feeling to eat what my body craved. I remember at 12 weeks moaning while eating tomato soup, it was soooo goood!! !